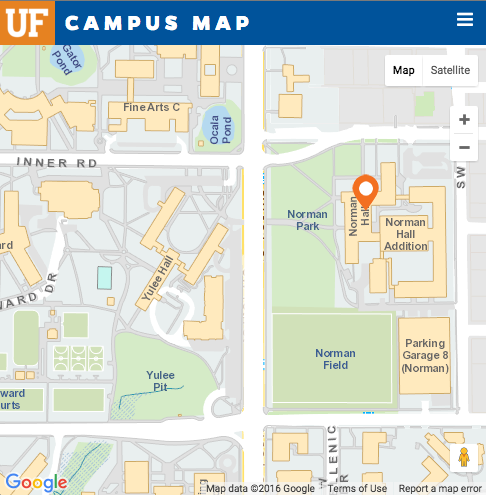 The University Of Florida College Of Education announces a public meeting for the purpose of discussing on campus applicant visits for the position of Clinical Assistant Professor requisition number 0904945. A copy of the agenda may be obtained by emailing the Search Chair Dr. Sondra Smith at ssmith@coe.ufl.edu. Any inquires and requests should be made by emailing or calling the search committee chair Dr. Smith at 352-273-4328. Any requests relating to a meeting must be made at least 3 days in advance and include the specific matter and meeting that are the subject of the request, and the requestor’s name, group represented (if any) and please include an email and phone number. Pursuant to the provisions of the Americans with Disabilities Act, any person requiring special accommodations to participate in this meeting is asked to advise the University of Florida at least 72 hours before the meeting by contacting Ms. Patty Dach at 352-273-4337. If you are hearing impaired please contact the University by calling 352-846-1046 (TDD).